Our debit cards and credit cards now support Google Pay, Apple Pay, and Samsung Pay. Questions about mobile wallet or our other mobile options? Feel free to reach out. Most smartphones have mobile wallet options, which let you pay for items directly with your phone. 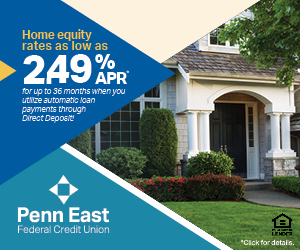 Simply add your Penn East FCU credit card or debit card to your mobile wallet to get started. Our cards work with Google Pay, Samsung Pay, and Apple Pay, so you have plenty of options. It's a faster, more secure way to pay.